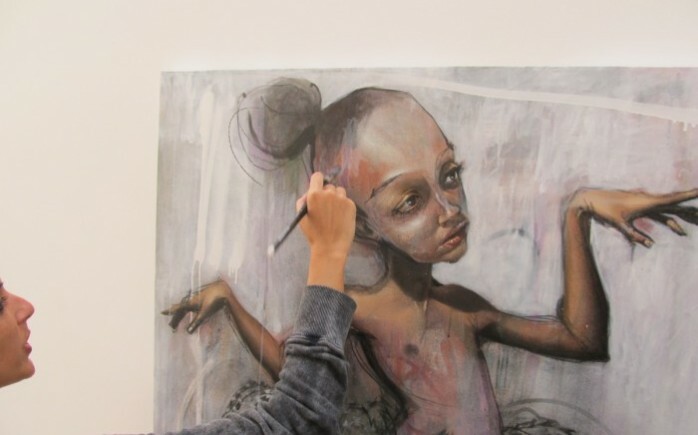 On Saturday night, November 9th, artistic duo Herakut will be opening a new show at the Shooting Gallery in San Francisco entitled Don't Look At Me. The collaborative acrylic and spray paint works on canvas from Hera (interviewed) and Akut often exude a raw and emotionally charged feel to them and mirror the German artists' creative output on the streets. Rounding out the show will be a 6 x 10 foot canvas suspended from the ceiling as well as a large-scale installation. Discuss this show here. Discuss Herakut here.